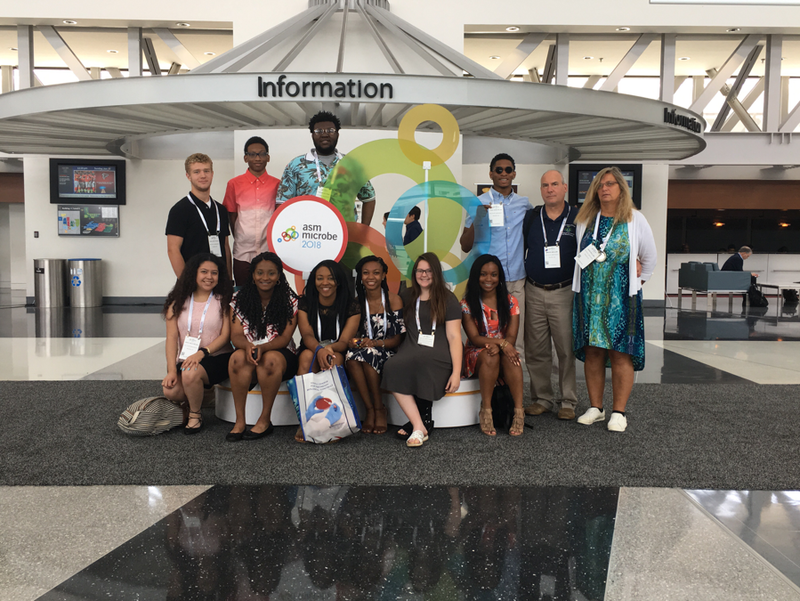 From June 7th-11th, 2018 eleven students from Bertie Early College High School (BECHS) traveled to Atlanta, GA to attend the annual ASM Microbe 2018, the annual meeting for the American Society of Microbiology (ASM). 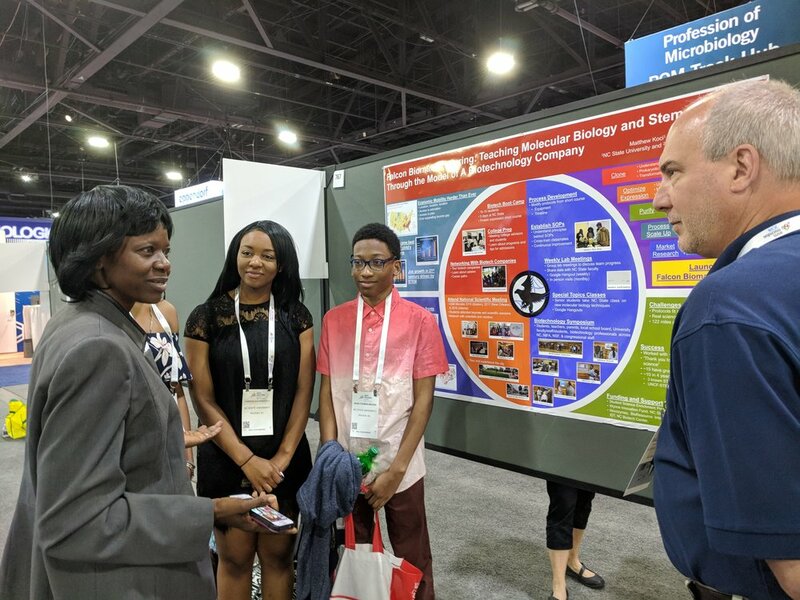 This international meeting brought together over 12,000 scientists, microbiologists, veterinarians, and physicians from all over the world to present and discuss current research across all aspects of microbiology, biotechnology and medicine. 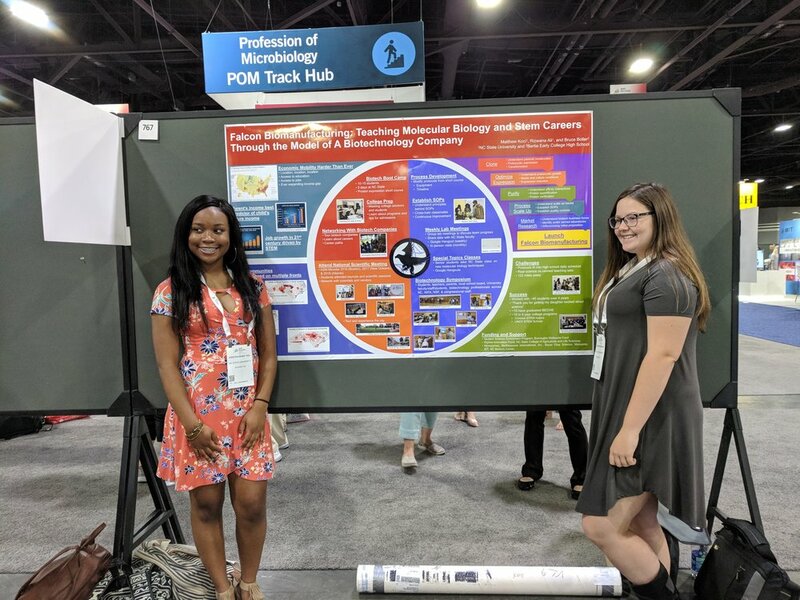 The students assisted Mr. Boller and Dr. Koci on Sunday, June 10th as they presented a poster on the Falcon Biomanufacturing project. 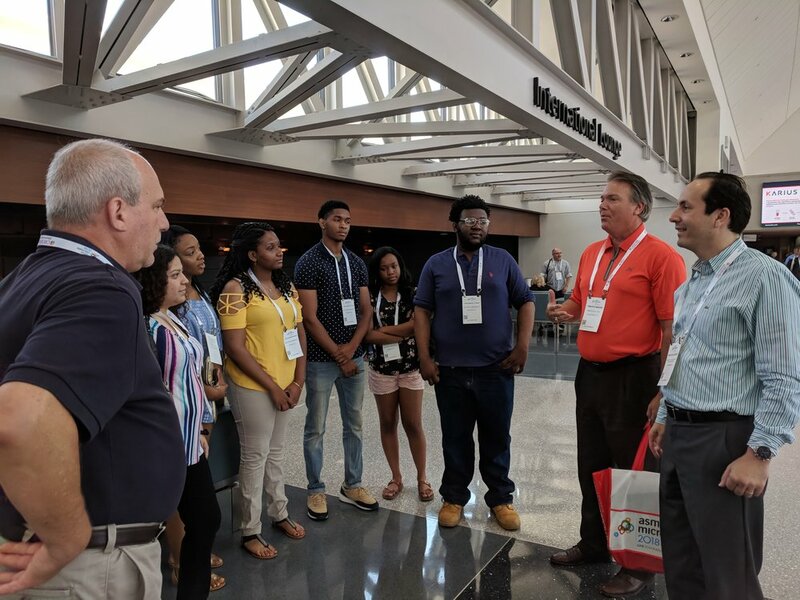 Students also attended workshops, poster sessions, networked with researchers, and toured the conference expo that featured over 100 biotechnology companies. 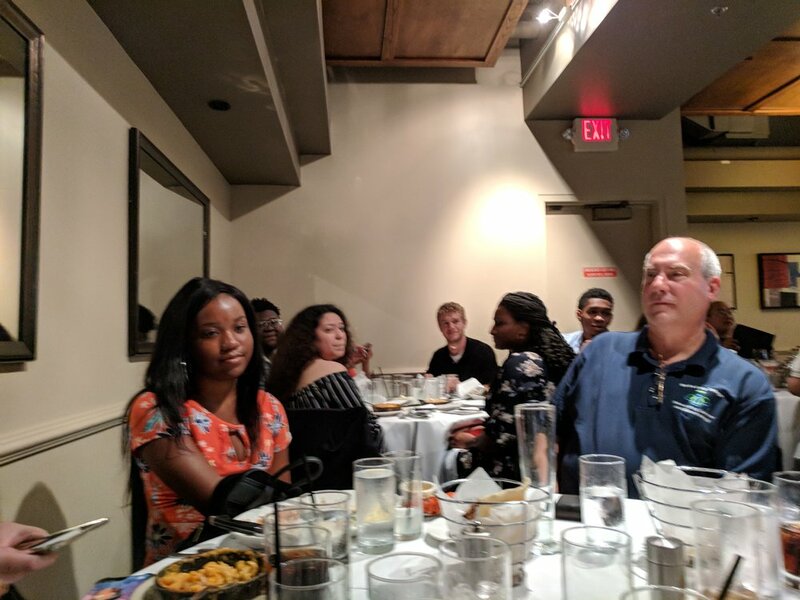 Students were able to make connections for future educational and employment opportunities. 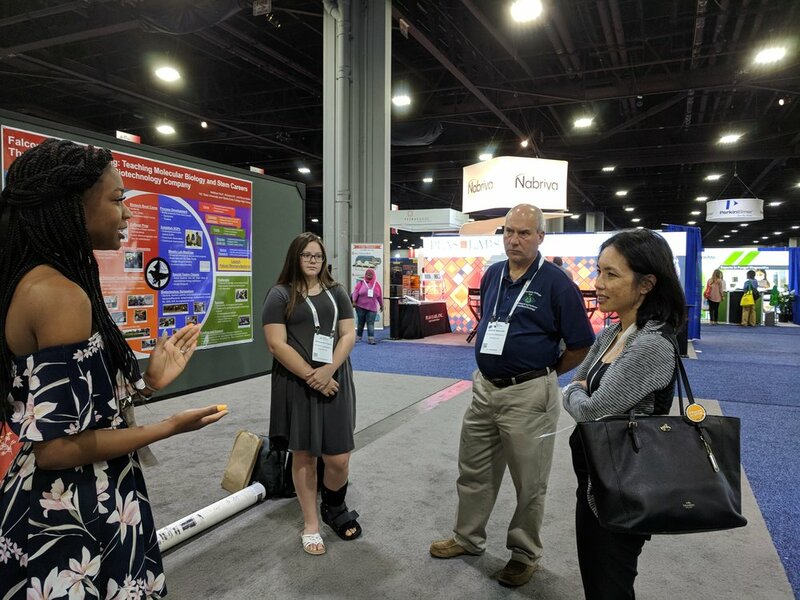 The students also visited the American Cancer Society where they got to meet Dr. Susanna Greer and Joya Harris and learn about how basic science and biotechnology turn into treatments, cures and best practices that impact lives. 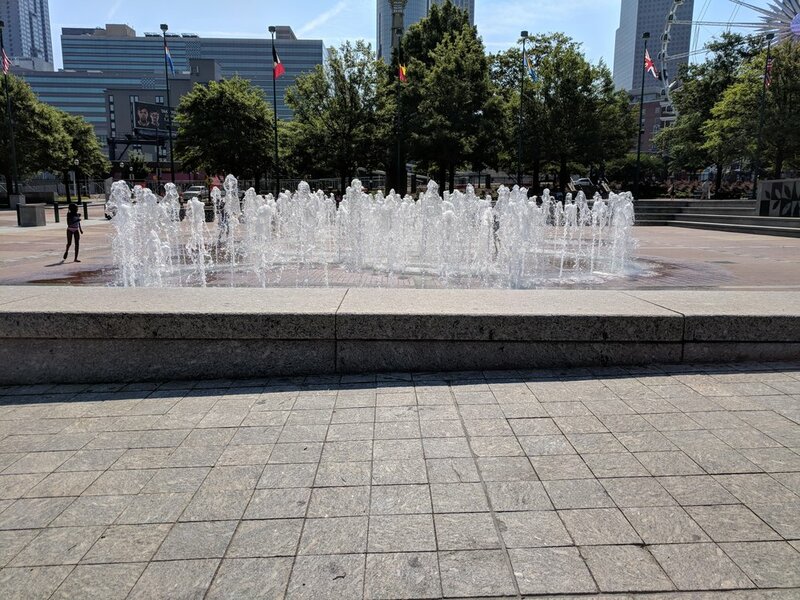 Finally, it wasn't all work, while in Atlanta, students visited historic sites and landmarks, and were exposed to culturally diverse people, places and cuisine.